Display your favorite memories with this Savannah Frame Set by Trend Lab. 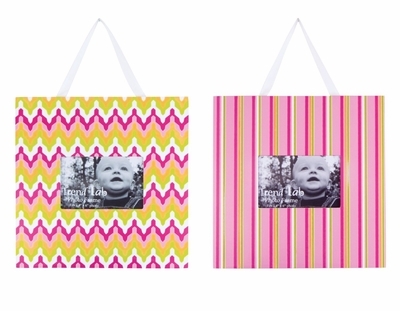 One frame features a vibrant chevron print in paradise and petal pink, tiger orange, chartreuse green and white. The second frame features a variegated stripe print in matching colors. Each frame measures 11.5" x 11.5"